Yesterday in London Dinamo Zagreb Youth beat Arsenal Youth 2-1 to secure a birth in the second phase of the UEFA Youth Champions League, a competition which sees club’s youth sides play in the same Champions League groups as the senior team. Whilst Olympiakos and Bayern Munich have both managed to dispose of Dinamo Zagreb in the Champions League proper, their youth sides have met their match against the talented Croatians. Dinamo Zagreb beat Olympiakos earlier this month away, after earlier upsetting giants Bayern Munich also away in Germany. Dinamo currently have 10 points, enough already to advance through to the next phase of the competition, and will finish first or second depending on their last match against Bayern in Zagreb. One of Dinamo Zagreb’s goalscorers in yesterday’s victory over Arsenal was Croatia U-17 international Josip Brekalo, who turned heads at the recent FIFA U-17 World Cup in Chile. “We have gotten better and better with each match. How it is going we hope that we will go all the way” he said after yesterday’s win. Captain Ivan Šunjić was also happy with his side’s performance in London. “I am proud to captain this side. It is an honour to wear the Dinamo armband, not just when we win,” Šunjić said. Dinamo Zagreb’s youth system is world and has been ranked the 4th best in Europe behind the likes of Barcelona and Ajax. At the 2014 FIFA World Cup in Brazil, Dinamo Zagreb supplied the third most amount of players at the tournament. Called by UEFA as a ‘conveyor belt of talent’, Dinamo Zagreb’s youth system has even attracted visits by a number of English Premier League clubs, including Everton. 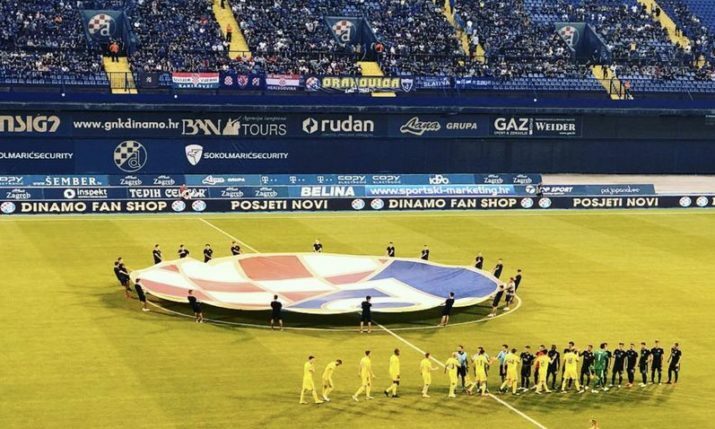 “A lot of clubs can learn from the way Dinamo Zagreb work with young players,” said former Croatia coach and head of Dinamo’s Youth Academy Mirko Jozić. Dinamo have nurtured players in the past of the calibre of the likes of Zvonimir Boban, Luka Modrić, Vedran Ćorluka, Mateo Kovačić, Milan Badelj, Marcelo Brozović and former Arsenal striker Eduardo da Silva.